Yesterday we looked at floral trousers. Today’s trousers are an entirely different proposition, but one that retains a sense of the daring. 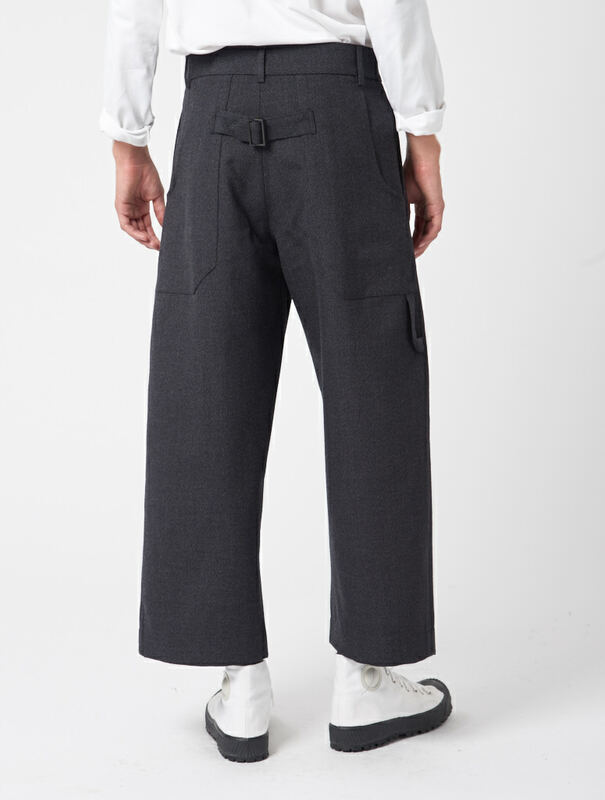 These ‘volume trousers’ are by Studio Nicholson and, viewed from the front elevation, the name makes total sense. They certainly boast uncompromising dimensions. 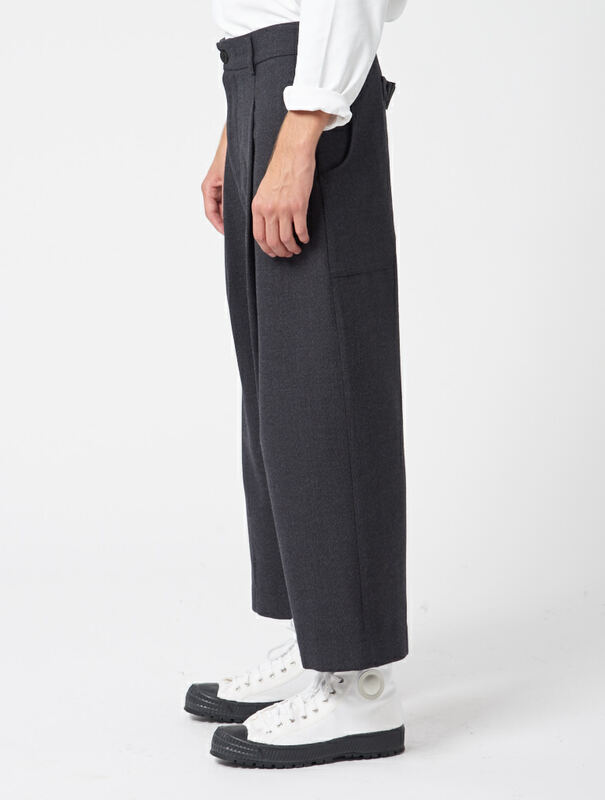 There are countless ‘big trousers’ out there, but few have the courage to conclude so abruptly above the ankle. It’s interesting to note that even as recently as 12 months ago, such styles were reasonably rare in and around east and south east London. However, in Peckham I can report a growth in sightings. 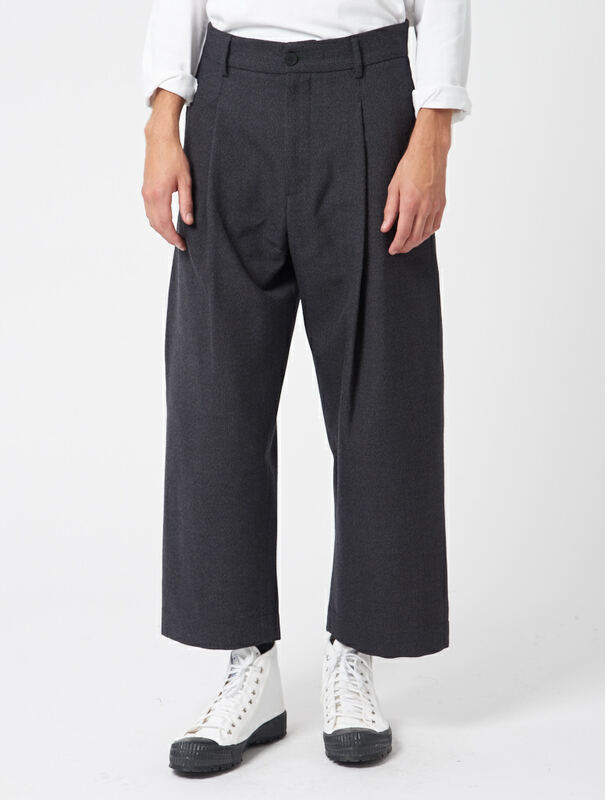 Last Friday night alone, I spotted three dudes, standing in a circle swigging beer, each of them wearing what appeared to be very new, very wide trousers. Doesn’t sound like much, but trust me, this is notable. Is the looser fit finally about to break in the mainstream? Once a Take Me Out contestant bounces out the Love Lift in a pair of parallel orSlow fatigues you’ll know it’s over. All the more reason to consider these Studio Nicholson numbers, assuming you want to stay ahead of the game. Looks like lovely fabric. The 100% thorn proof British wool would make a big change for the menswearist with a wardrobe full of light but crumpled cotton. There’s a single pleat up front and some remarkable looking pockets and a cinch around the back. 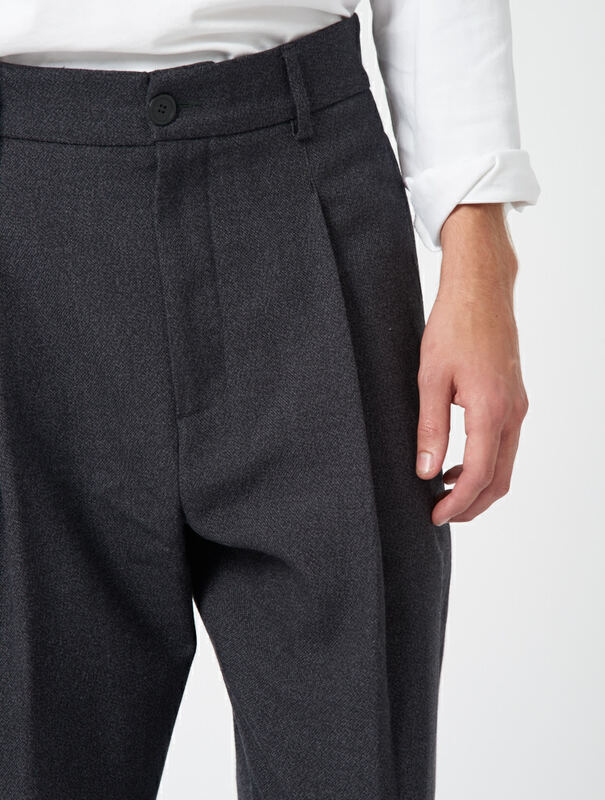 And there’s a carpenter’s loop too, you know, for all the tools you’ll be hanging off these £375 trousers. The cropped length might be brave, but the fabrication and make is grounded in good sense. I reckon these would keep you ahead of the pack for a good two winters, maybe more. By then at least the style tourists will be safely back in their spray on jeans.